41-948 Piekary Śląskie, Stalowa 14 str. We offer effective, efficient and easy in installation conveyors, sealing machines, strapping machines and wrapping machines for pallets. We offer effective, efficient and durable shrink wrappers, designed with a view on the specific needs of the user. We offer effective, efficient and easy in installation conveyors, sealing machines, strapping machines and wrapping machines for pallets and packaging lines. For automatic or semi-automatic operation, designed with a view on the specific needs of the user. We offer reliable, heavy-duty machines for production use. Dispensers save your time and work is more effective. You can choose the solution appropriate for you. 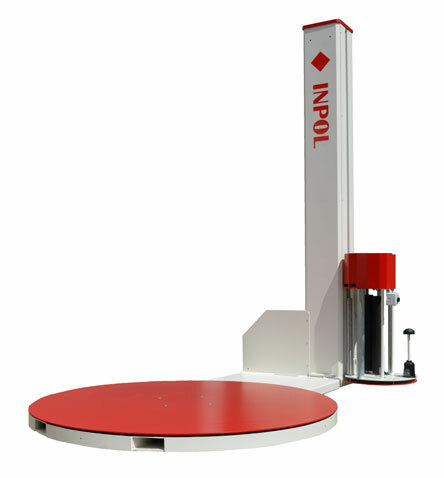 We offer simple manual devices as well as semi-automatic and automatic machines. We produce and sell self-adhesive materials in the form of: glue dots, circles, velcros and self-adhesive labels. We will select the appropriate viscosity, dimensions and shape of the product, we will run the necessary tests, so as the product is optimal to meet the needs of our clients. Safe packaging is the solution for your company! Paper tape activated with water not only seals the cardboard boxes, but it also locks them! It is the safest and most economic system of locking cardboard packages! You have questions: our advisers will help! We have been in the market since 2001; during several years, with the completion of many projects, we have gained experience and knowledge. We guarantee high quality of our products, our employees check every product before it reaches you. Our offer is adjusted to the needs of the client, the highest quality products at good prices. INPOL - We have been with you since 2001.